“We can understand a reluctance to focus too much on the content of Jesus’ preaching, largely because it is easier to talk about him than it is to talk about what he talked about” (p. 18). This past week I was invited to Edmonds Washington, not to take about Jesus, but to talk about the things that, to the best of our knowledge, Jesus talked about. The topics included our need to structure our discussions on theology, ethics and politics in a way that centers the experiences of those on the undersides and margins of our society. We looked at Jesus’ new hope as, in its simplest form, people taking responsibility to take care of people. In a world where many of us are tempted to solve the problems of our future for ourselves at the expense of others around us, we imagined what a world where each of us thrives interdependently together might look like. We discussed the economic teachings of Jesus and considered those as our point of departure, spring-boarding to lesser understood, unjust, oppressive, hierarchal arraignments in our societies, as well. 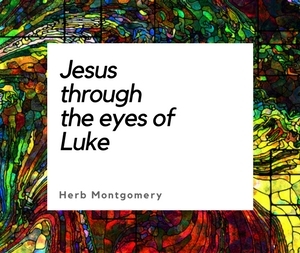 We contrasted looking at Jesus’s teachings through the lens of unilateral, hero worship versus as a demonstration of the power of community, embracing our natural dependence on each other. We closed the week contemplating the differences how one interprets Jesus’ violent, unjust death make. Rather than looking at Jesus’ execution as being the means whereby a “salvation” was accomplished, we considered the possibility that Jesus’ death could be interpreted as an interruption to Jesus’ salvation work, an interruption overcome, undone and reversed through the resurrection event. And the primitive Jesus community as a community who sought to continue this work through survival, resistance, liberation, restoration and transformation, as well. Over all, we spent this week exploring Jesus’ teachings from the intentional perspective of asking whether these teachings can inform our healing work today in the twenty first century as we seek to liberate our communities from the sicknesses of racism, sexism, classism, heterosexism, ageism, ableism and more. I’m told the presentations were recorded, and if they turn out we will be posting them shortly on our website under the series title The Gospel of Jesus. The feedback I received throughout the week was very positive. There was a lot of valuable sharing of ideas back and forth each evening in the discussion time in the final portion of our sessions. Looking back on our week together, the congregation there at Edmonds has left me with a lot of hope for the future. 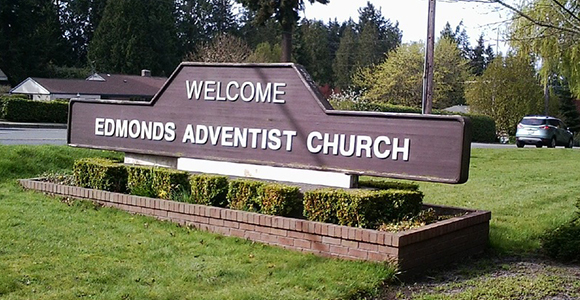 Thank you to the Edmonds Adventist Church for the invitation to come and spend a week with you. Your hospitality and kindness were overwhelming. Thank you for caring about people—all people, above all else. And thank you for making space in your congregation for discussions like these. Together we can make better choices for our future, working alongside each other transforming our world into a safer, just, and more compassionate home for us all. Here’s to a continued discussion on the things Jesus talked about.